The Program in Cognitive Psychology offers research and training leading to the PhD in psychology, preparing students for jobs in academic and nonacademic settings. 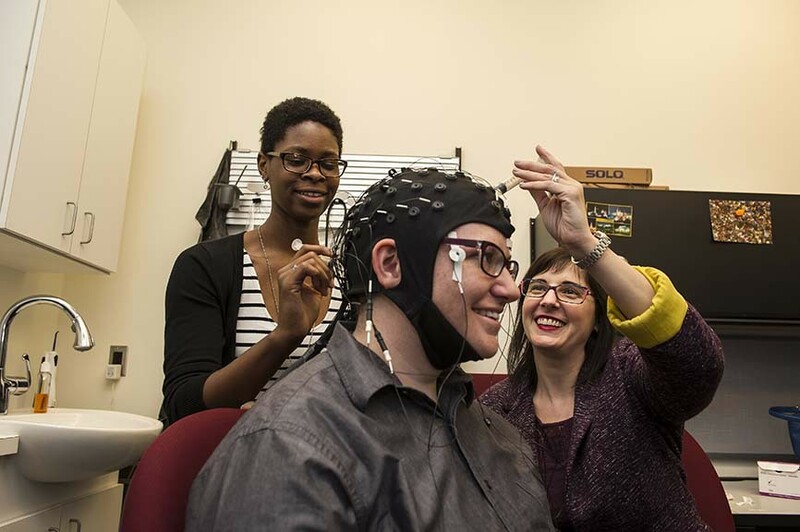 The Cognitive Program at the University of Pittsburgh has several distinctive features. First, the quality of the program faculty is exceptional. Its members serve as editors of major journals, they are the recipients of national and international awards, and they bring in millions of dollars of research funding every year. Such contributions are fundamental to maintaining the University of Pittsburgh's outstanding reputation for psychological research. Second, the faculty and students in the program have a strong interdisciplinary and collaborative perspective. Most students participate in one or more interdisciplinary research groups. Almost all of the faculty have joint grants and publications, affiliations with other departments and research centers, and expertise in multiple research methodologies. This interdisciplinary focus keeps the program at the cutting edge of psychological research. Third, many of the faculty and students in the program have a keen interest in bridging between basic and applied research. They apply cognitive principles to complex real world problems, and use the insights gained from such endeavors to inform theories of cognition. Graduate student Gabriela Terrazas shared her culture with the rest of the Cognitive Program by hosting a Mexican posada.